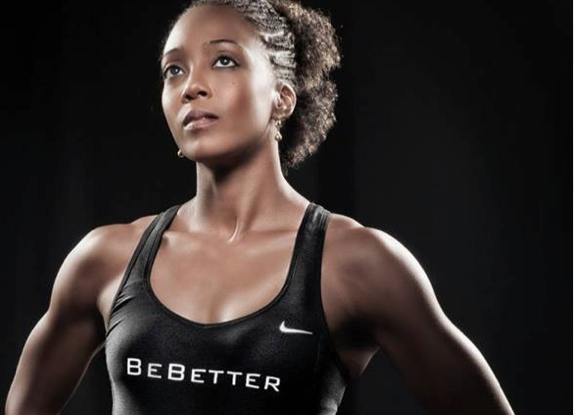 Fencing has not been a sport that is traditionally followed in Jamaica, so not many people would be aware that in October 2013, Ohio-based Jamaican, Allison Miller won the nation’s first gold medal for fencing in the Central American and Caribbean (CAC) Championships in Guatemala. Soon thereafter, in November, Jamaica then won another gold medal in the London International Open 2013, through Caitlin Nicole Chang, who resides in Britain. 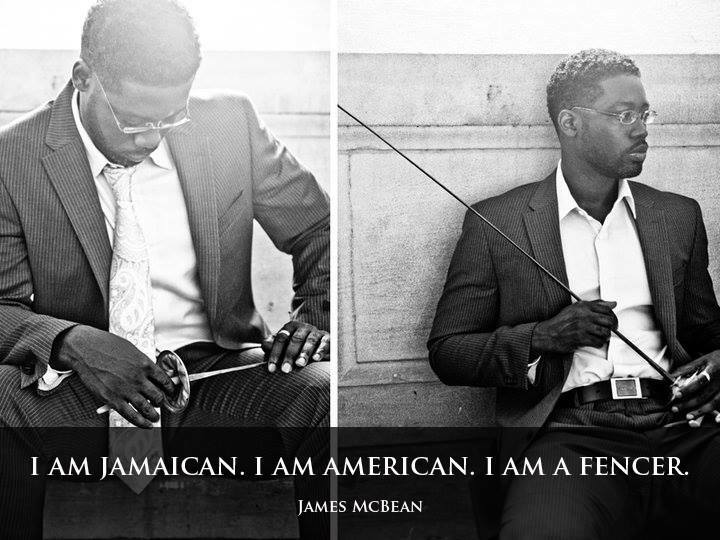 It was only recently, in April 2012, that the Jamaica Fencing Federation was incorporated in Jamaica by President and founder, Jamaican born James McBean from Spanish Town, who competed previously in the American college system making it to the top 15 in the US in his last two years of college. The federation was subsequently admitted as a member to the International Fencing Federation FIE in November 2012. Since then, and with the support of the Jamaica Olympic Association, McBean has been working hard to introduce the sport of fencing to Jamaicans. His team consists of Christopher Samuda as advisor, Kevin Jackson, secretary, Marc Ramsay and Laurel Smith as consultants. As the JFF visit high schools throughout the island, demonstrating the sport to students, McBean has been very encouraged by the interest displayed. He is of the opinion that competitiveness is culturally engrained in Jamaicans at a young age, and that fencing is another avenue through which young people can demonstrate their physical and intellectual dominance of another in a a healthy way. The JFF operates from five standards of conduct: etiquette, modesty, perseverance, self-control and indomitable spirit. These standards McBean borrowed from his Tae Kwon Do training, and he believes them to be appropriate for today’s Jamaican youth. 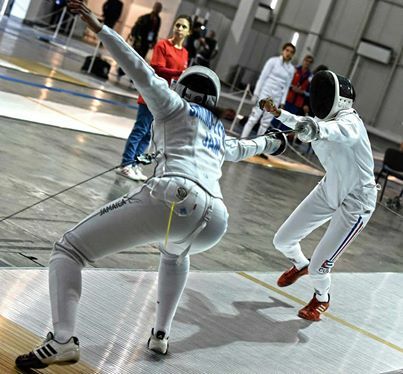 Fencers are forced to think and react quickly, and the sport is therefore excellent in helping young people develop acute coordination between the physical and intellectual realm. In mid 2013, French National, Jean Pierre Riffaud joined the JFF as the organization’s first fencing coach. Based in Mandeville, Riffaud became a part of JFF’s pilot program – the development of the Manchester Fencing Club, the first fencing club in Jamaica’s history. At present, Riffaud is the only coach on the island, but plans are being made for additional coaches to come to Jamaica. A club has also been established at Wolmer’s Boys School in Kingston. The students are able to make use of equipment donated by the FIE to Jamaica. The establishment of the JFF has allowed fencers of Jamaican heritage all around the world to represent Jamaica in their favoured sport. 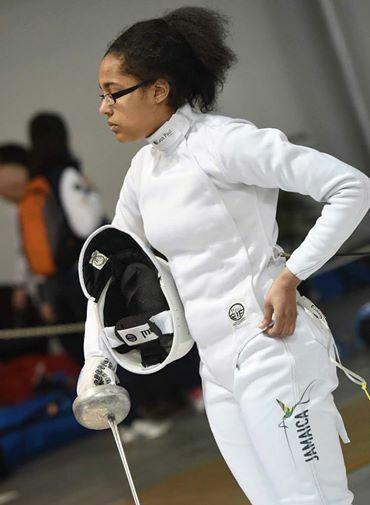 In 2013, 14 year old Tia Simms-Lymn, a British born fencer of British and Jamaican parentage, was the first person to represent Jamaica in fencing on an international level. Even before the JFF existed, Lymn had been seeking a way to represent the country of her ancestry, although she was already ranked no. 1 in Britain in her age group. She was therefore thrilled to be first on board once the JFF had been admitted to the FIE. 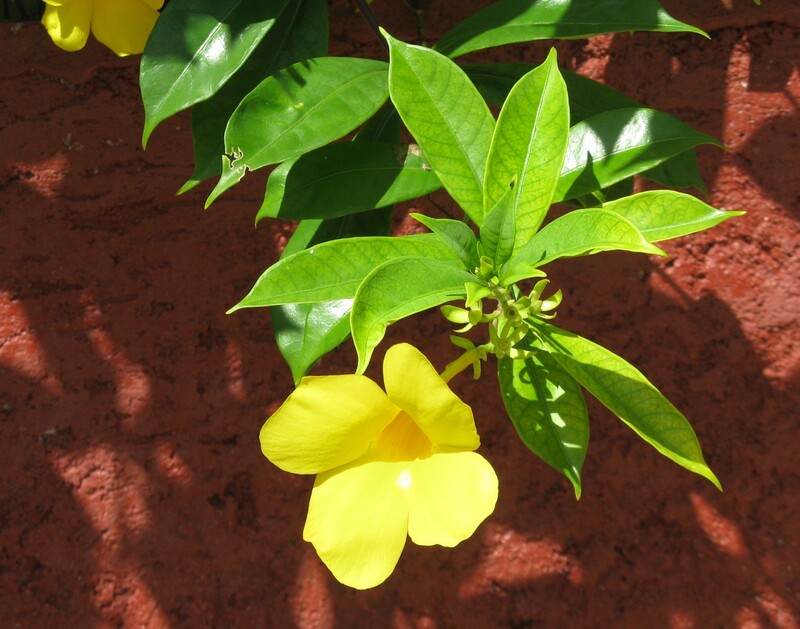 Her participation is also key in demonstrating to Jamaica what can be accomplished on an international level. Lymn has been fencing for the last 7 years. She has been British Epee Champion in her age group for the last three years and in 2011 was double British Champion, in the Foil and the Epee. The Foil and the Epee are two of the three categories of fencing weaponry, the third being Saber. 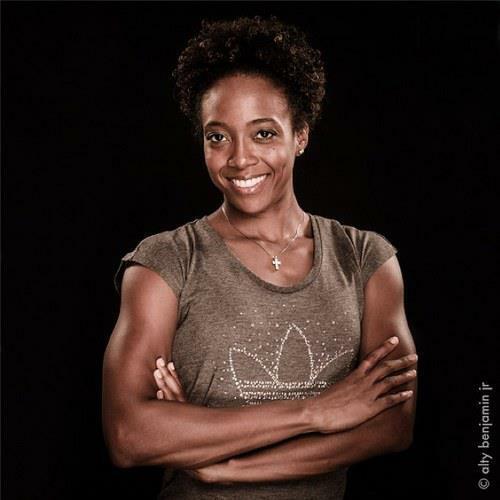 In February 2014, she represented Jamaica in Guatemala at the Pan American Championships. And in March 2014, she competed in the largest and most prestigious under-15 fencing competition in the world, the Challenge Wratislavia, in Wrokaw Poland, where over 2,000 fencers participated. Once again, Jamaica came out on top with the silver medal, with Lymn beating out previously undefeated top seeds. Lymn then flew to Plovdiv, Bulgaria where she competed at the Cadet World Championships in April 2014. In addition to these three outstanding ladies, a number of fencers residing in the USA, England, Germany and Wales are also representing Jamaica at local levels. The JFF looks forward to training new members for their club, here in Jamaica, as well as encouraging fencers around the world who are of Jamaican heritage and who would like to represent the country to do so. Allison Miller, Caitlin Nicole Chang, and Tia Simms Lynn are all hoping to qualify to compete at the 2016 Olympic Games in Rio, Brazil. 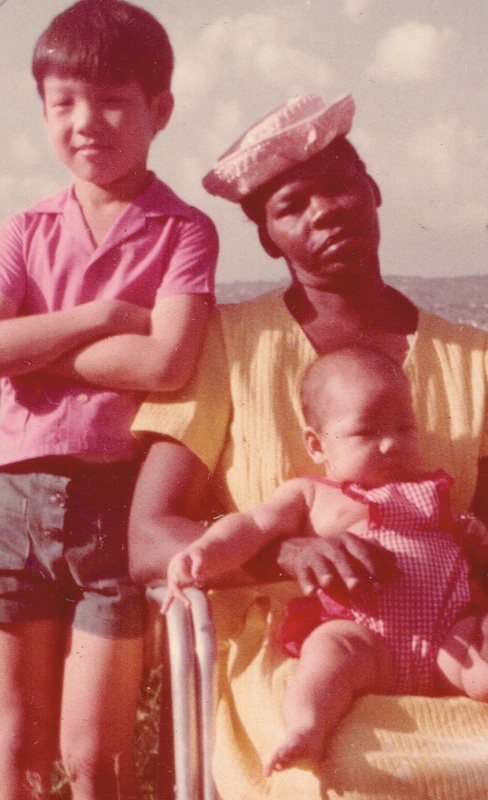 Karl O’Brian Williams – Jamaican Actor & Playwright. Karl O’Brian Williams was studying English at UWI, Mona Campus when he happened upon a course on 20th Century Theater. It seemed like a good opportunity to take a class that was fun and did not involve exams. Little did Williams know that this introduction to the world of performing arts would change the course of his life for good. The class was his first foray into the academics of acting and the performing arts, and it sparked a fire that would not be extinguished. Williams actually began his working life as an English teacher at Camperdown High School, but he also managed to audition for and win an acting role at the Pantomime Company, which paid him a stipend for his role in Janga Rock. He continued to win roles in JMTC productions, and appeared in Norman Rae’s production of Guys & Dolls. By day, Williams had been working in the field of public relations. In 2001, he finally decided that he wanted to work full time in theatre, so he quit his job and went to New York to audition for the Royal Academy of Dramatic Art (RADA). While he did not get into the four year degree course, he was accepted to do a Certificate Course in Shakespeare Acting in London. After his stint in London, Williams returned to Jamaica to complete a Diploma in Education at UWI, since teaching was the only other area outside of theatre that he had an interest in pursuing. He then got his MA in Educational Theatre at NYU. Williams went on to teach, act and write plays. As he explains, all these areas are related and are part of a whole. Theatre is a lifestyle that requires doing many things at once. To date, Williams has produced three plays. Random, Black That I Am, and Not About Eve. His play Black That I Am received the 2005 Actor Boy Award for Best New Jamaican Play. 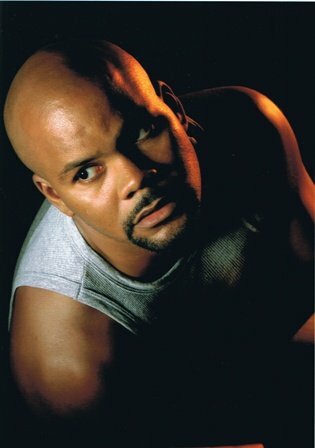 Not About Eve, which he started writing as far back as 2001, did not come to the stage until 2006, when it won that year’s Actor Boy Award for Best New Jamaican Play. It went on to be staged in New York to great critical acclaim. It was chosen to be showcased at the National Black Theatre Festival in 2013 in North Carolina. Williams is only the third Jamaican playwright to have his play chosen for this prestigious event, joining such stalwarts of Jamaican theatre as Trevor Rhone and David Heron. Williams has also recently been invited to stage ‘Voices From The Black That I Am’ in Glasgow, Scotland at ‘A Pie, A Pint and A Play’, which is a lunchtime theatre event to be held this summer. The production is a series of monologues that is a slight variation from the original play. The event showcases emerging and established writers from Scotland and recently, from other countries. It is housed at the Oran Mor Theater in Glasgow. Williams’ production will be staged May 12-17, 2014. 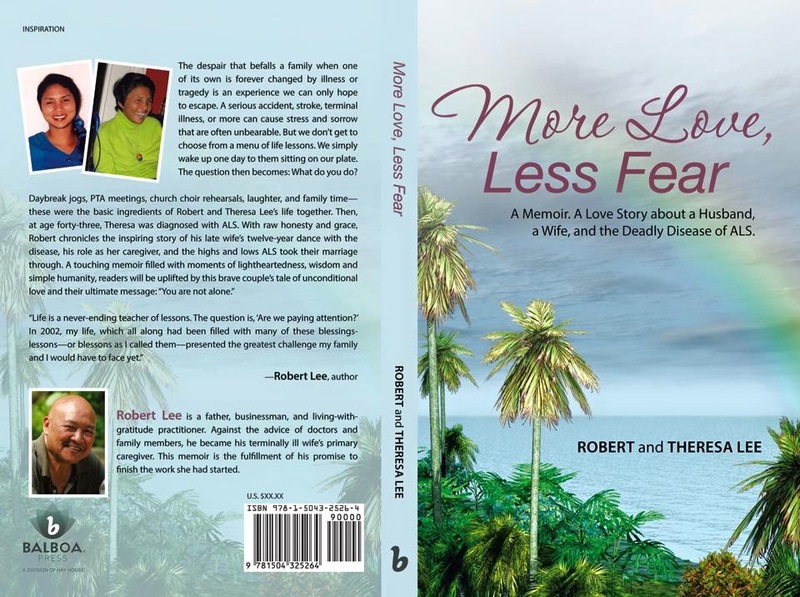 Williams says that it is very special to know that he can write something that is so uniquely Jamaican, and that it can still be appreciated by people who are unfamiliar with the Jamaican culture. He claims that he does not typically write about stereotypes such as the ghetto life or dancehall or the reggae culture, but instead focuses on other aspects of life that are still authentically Jamaican, but are perhaps not as prominent. Seeing his plays on stage brings great satisfaction to Williams, knowing that those are his words, and his work that is being portrayed. He points out that although Not About Eve was written as far back as 2001, it is still relevant today. It is what he strives for, creating works that will continue to be relevant in years to come and that will still resonate with audiences long into the future. Apart from producing plays, Williams continues to act in numerous productions. His most recent role was as King Herod in Craig Hutchinson’s adaptation of Oscar Wilde’s Salome, called “Salome Reversed”. 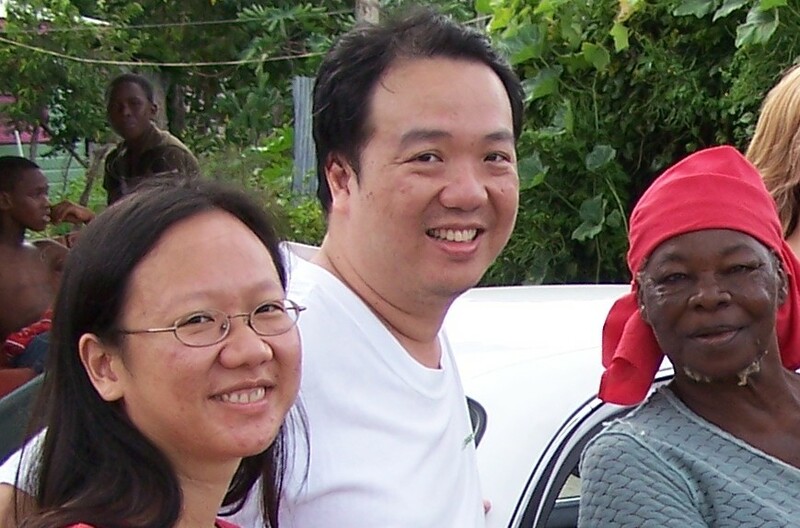 His company in Jamaica, MADKOW, is a partnership with Michael Daley, which was involved in bringing Not About Eve to production. 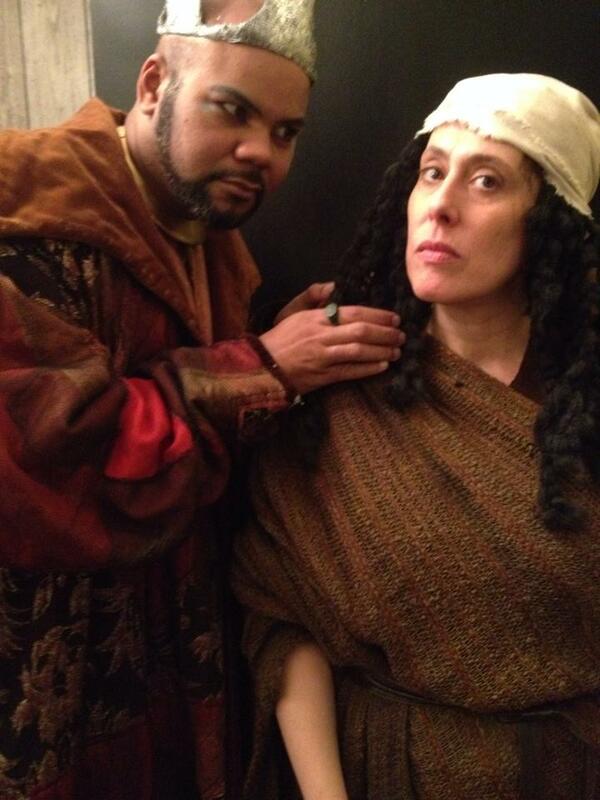 The company strives to promote upcoming actors and playwrights in the industry. As the artistic director of Braata Productions, which operates out of New York, Williams also assists in promoting Caribbean Culture to the wider society. The non-profit organization has three arms. Their choir of folk singers puts on concerts and promotes this aspect of Jamaican culture to the community. Their educational outreach involves sending teachers into schools to expose children to Jamaican and Caribbean theatre culture. And their theatre workshop produces plays and promotes and helps to develop new writers and playwrights from the Caribbean. Williams also teaches public speaking at the Borough of Manhattan Community College (CUNY) as well as teaching theatre in other organizations throughout NYC. At least that is what my kids call it! 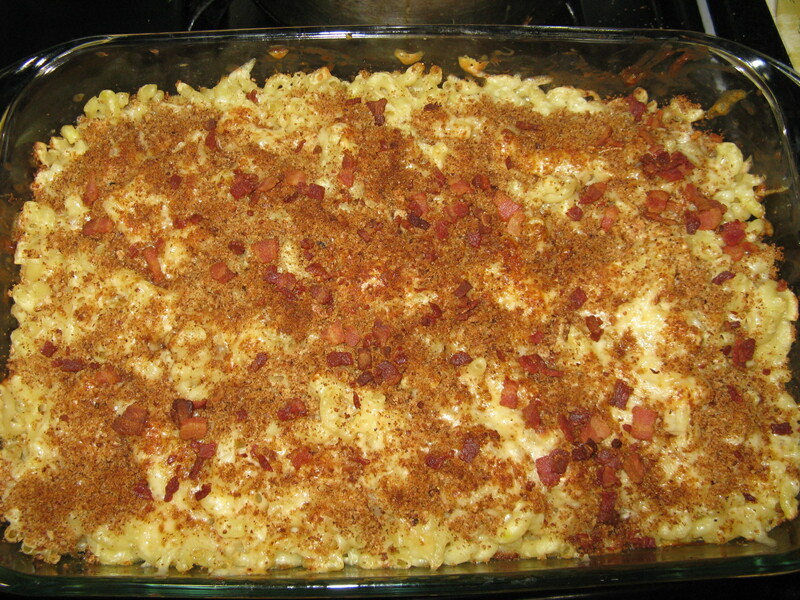 This macaroni and cheese dish is truly delicious. It is my adaptation of a recipe passed down to my husband from my mother-in-law. My 11 yr old son would eat it every day if I let him. It has the gooeyness of pizza on top, a little crunch from the breadcrumbs, and of course, bacon bits! Heat saucepan on low heat and add butter. Be careful as butter burns easily. Bake uncovered for 15 mins until the cheese is melted and the top is brown.